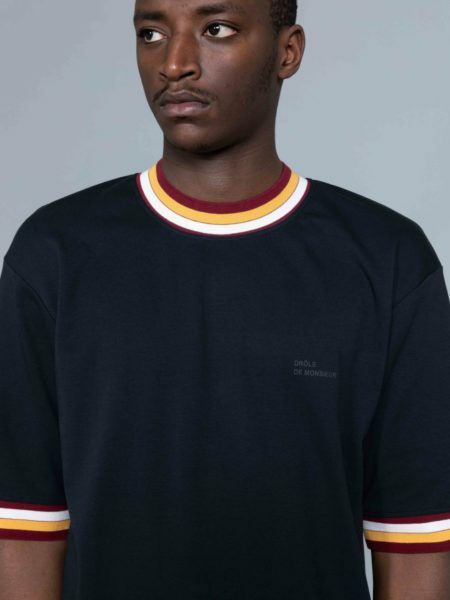 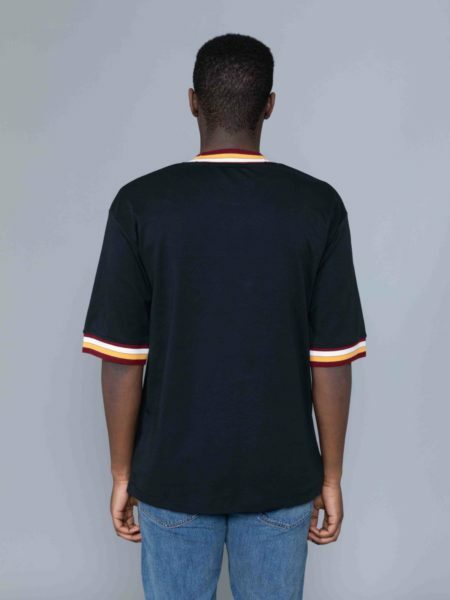 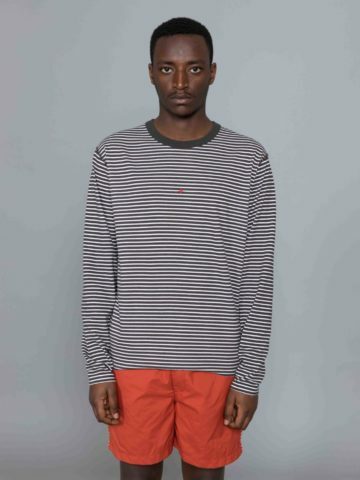 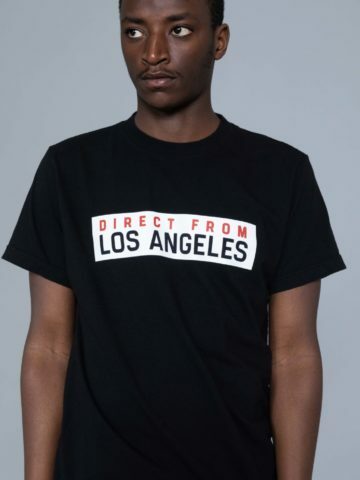 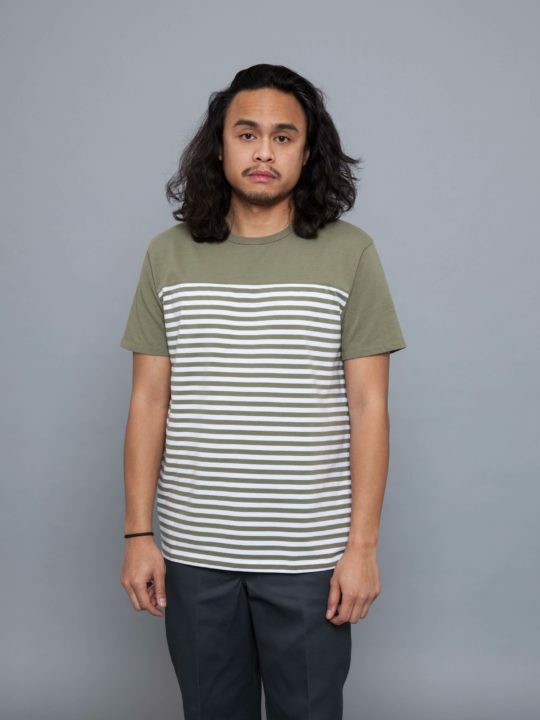 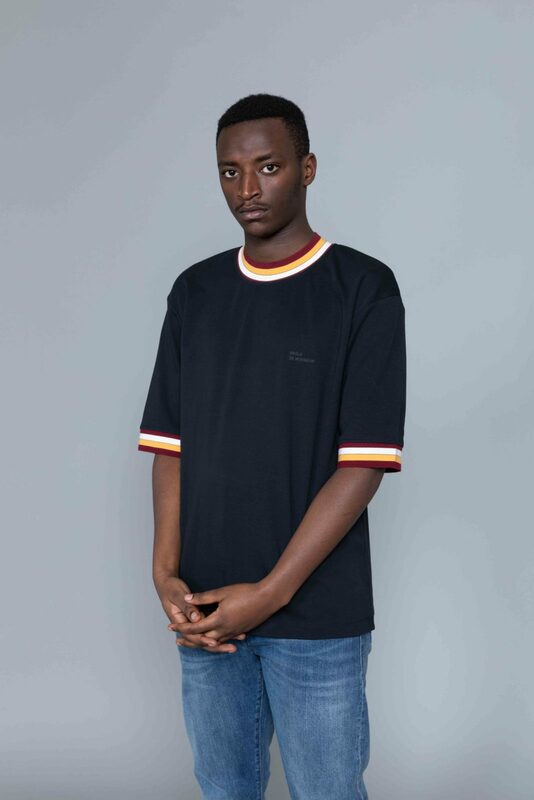 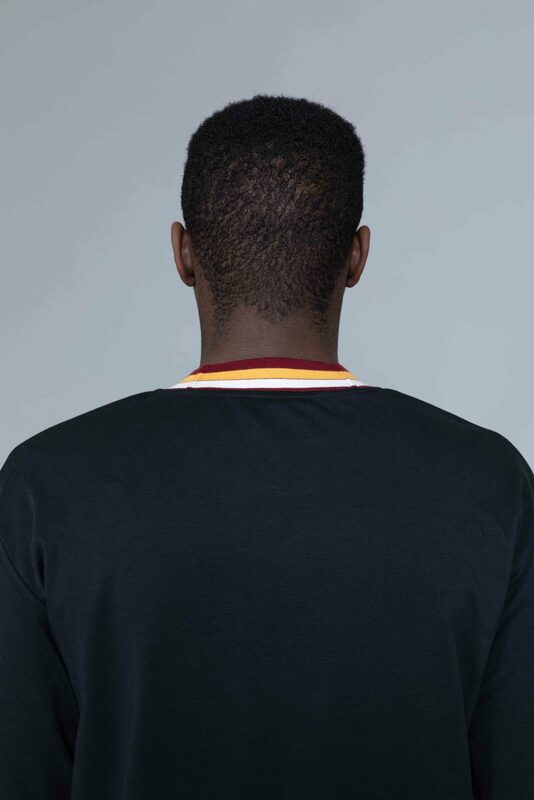 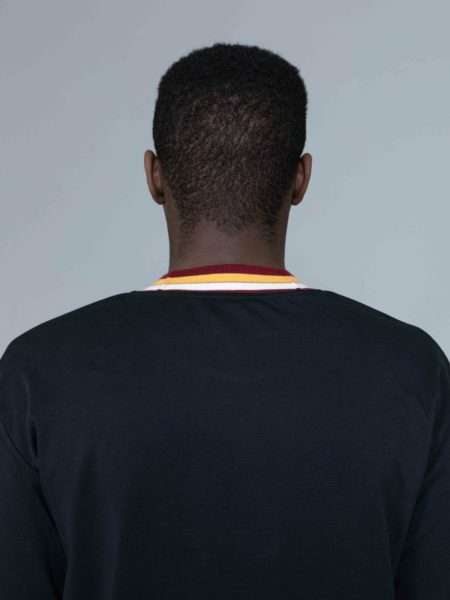 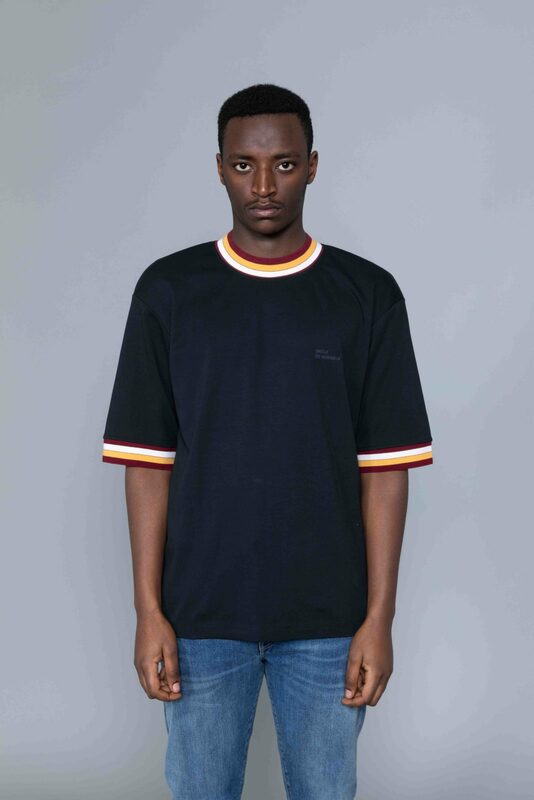 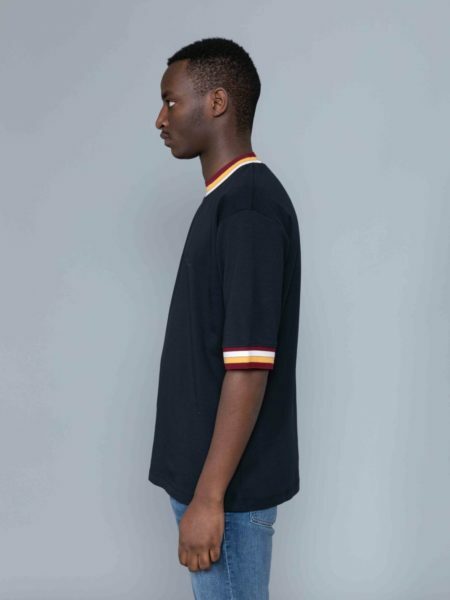 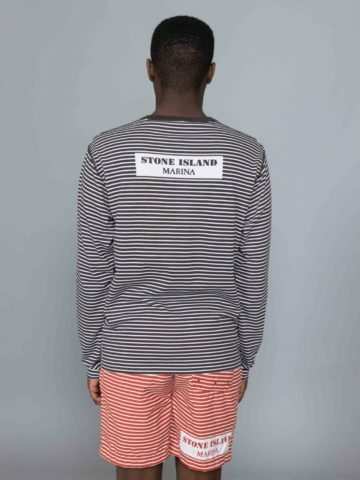 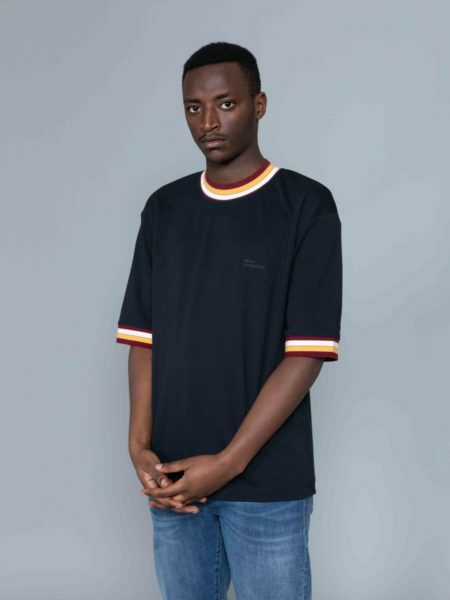 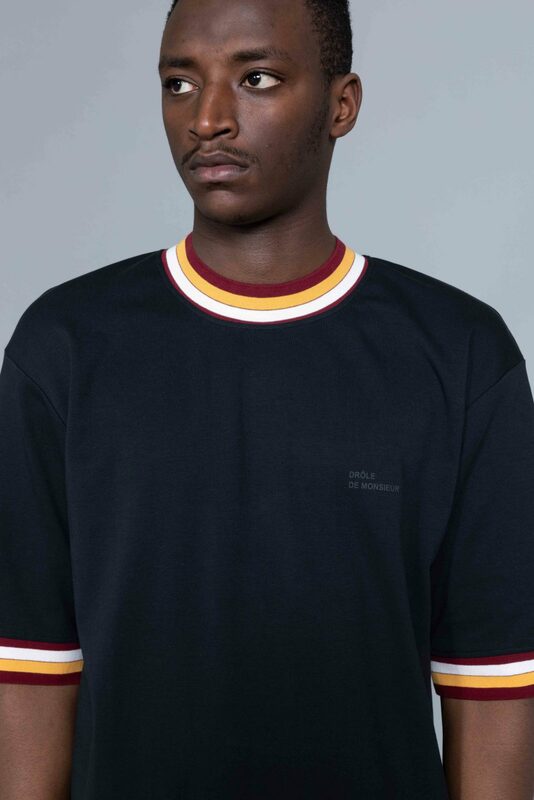 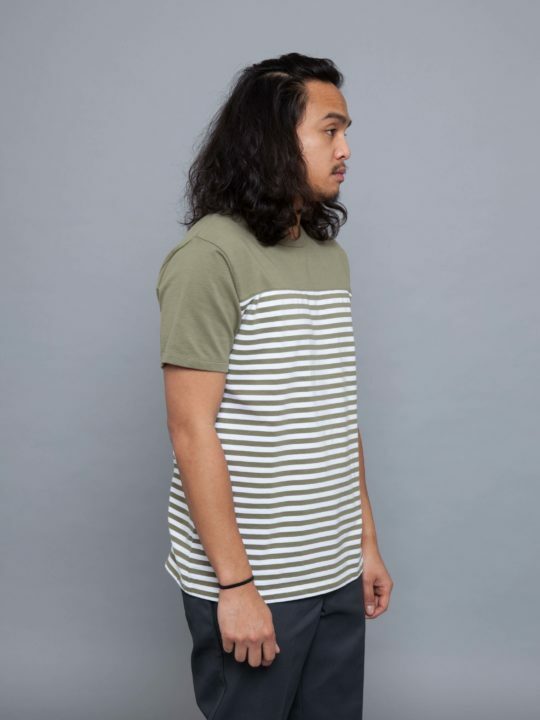 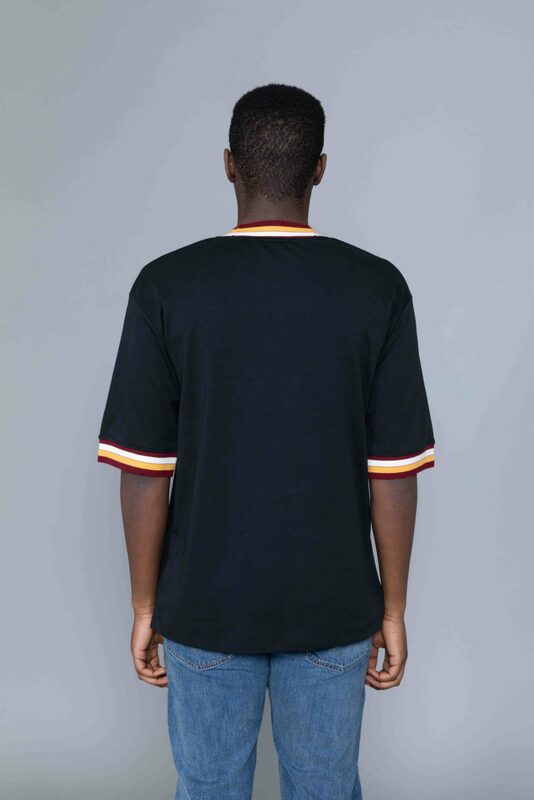 Drole de Monsieur Striped Collard T-shirt Black is cut from thick cotton. 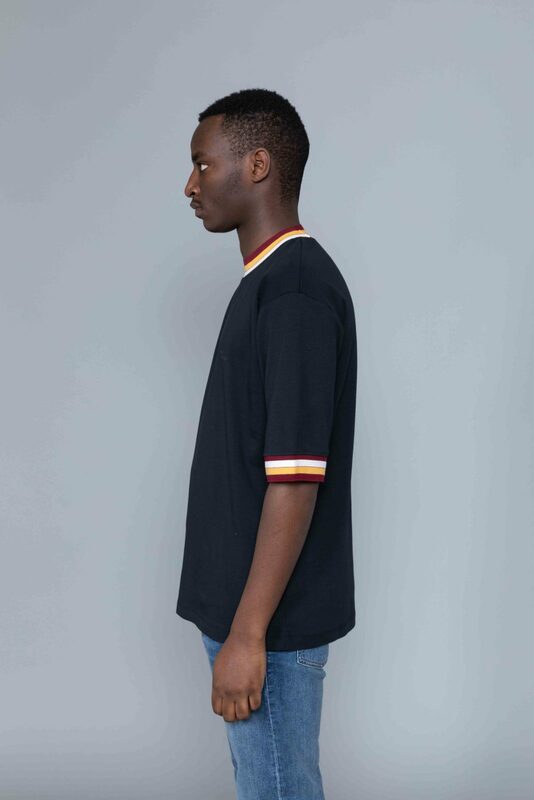 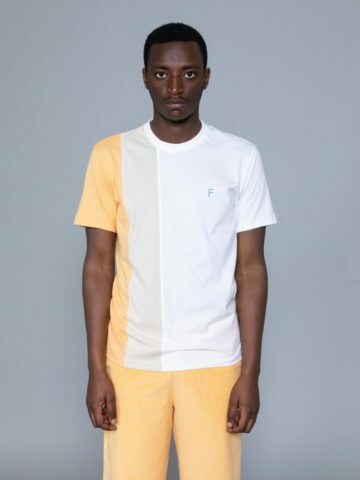 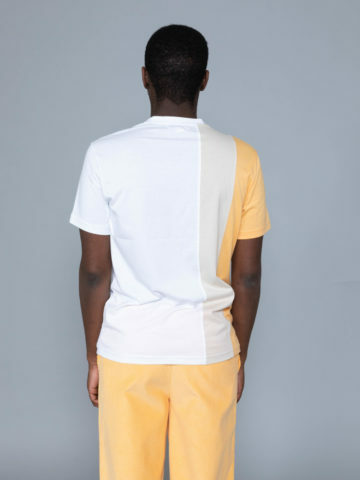 Relaxed fit tee shirt with set-in-sleeves and multicolor neckline and cuffs. 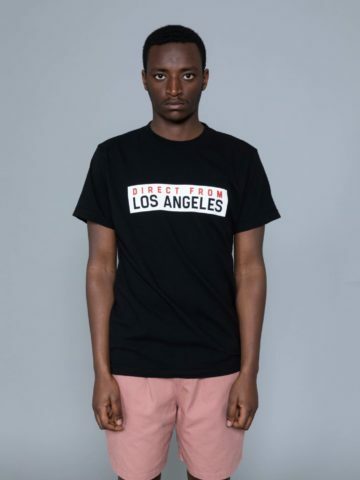 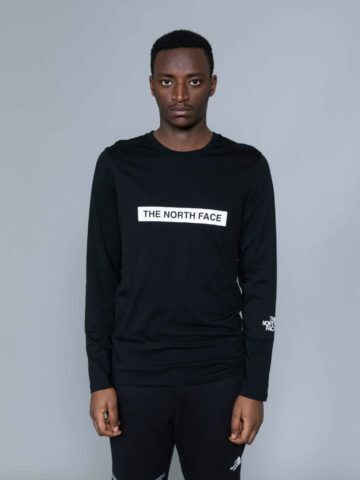 Featuring printed logo at chest and ribbed details at collar and cuffs. 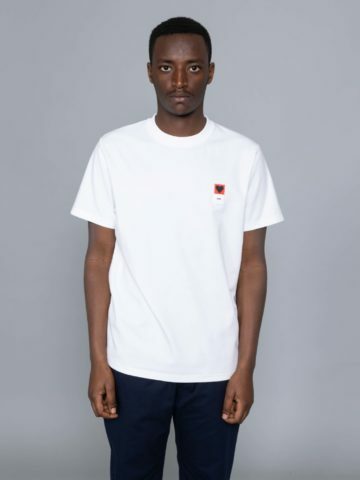 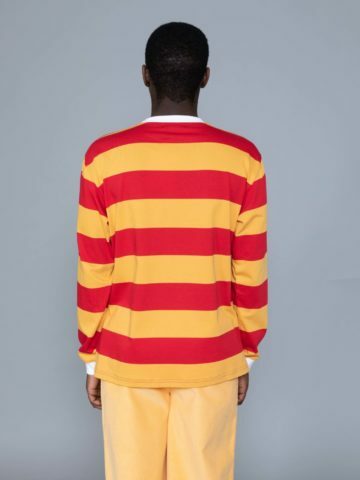 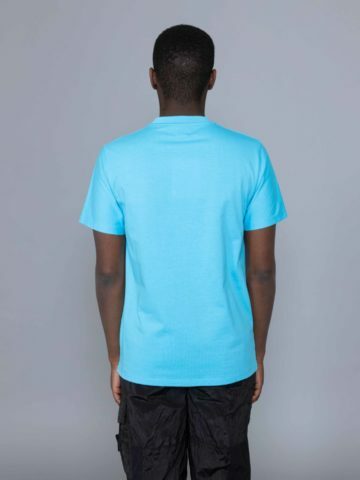 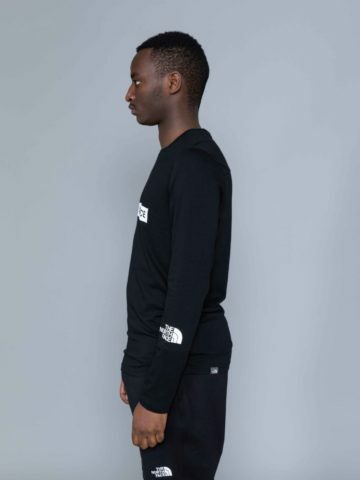 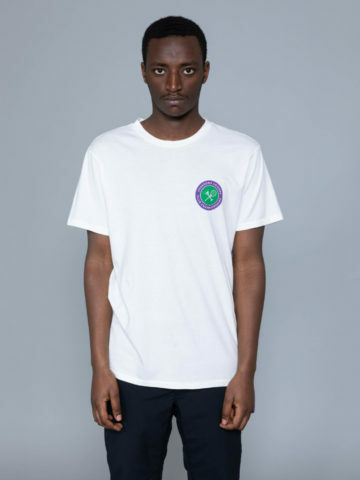 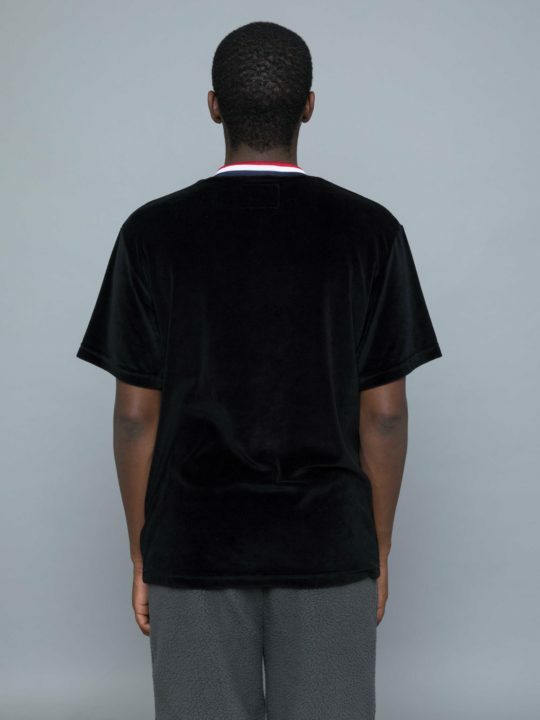 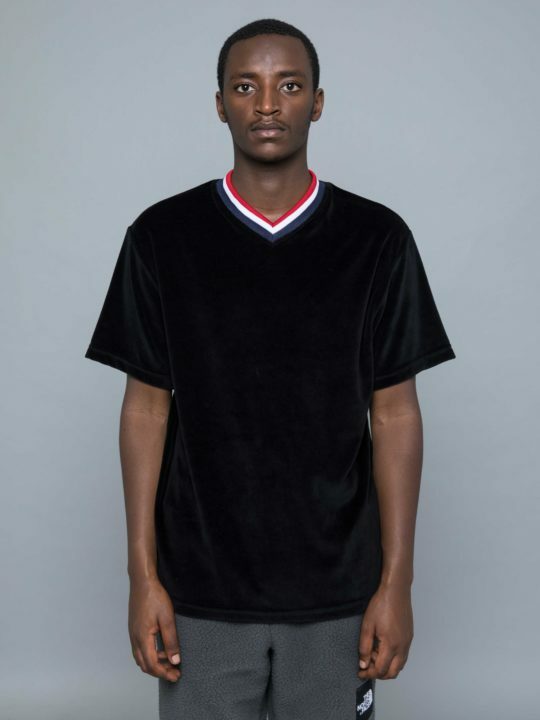 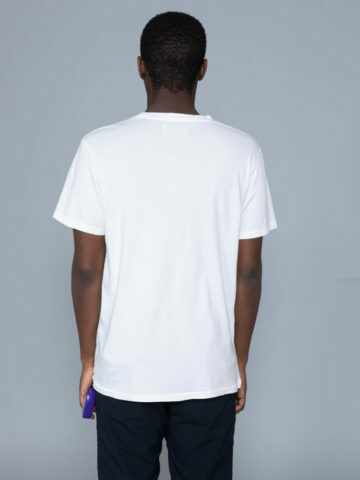 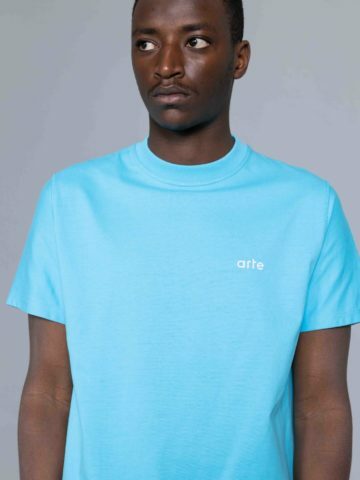 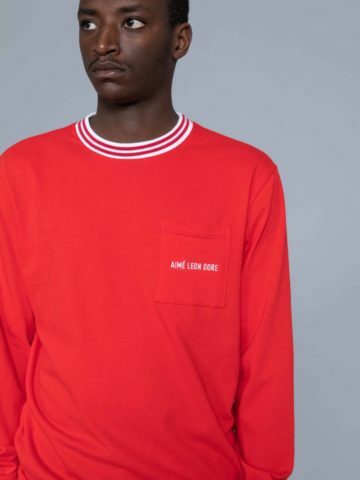 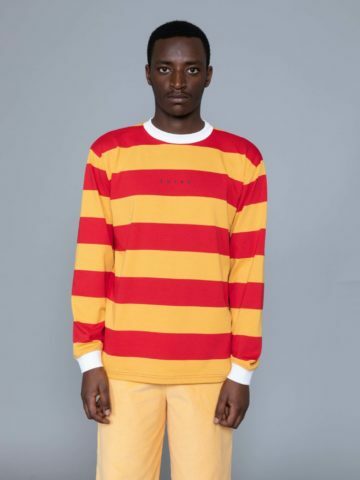 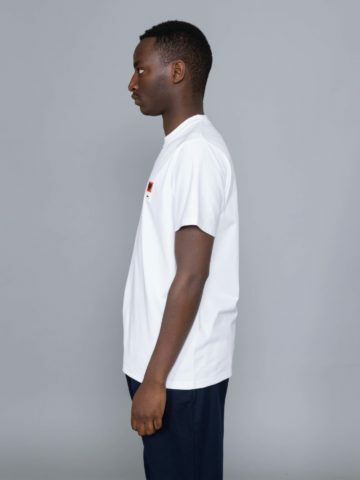 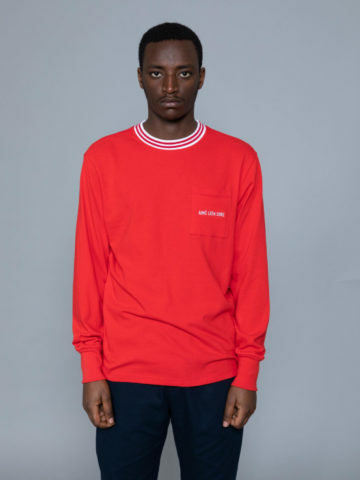 Categories: Drôle de Monsieur, T-shirts.